The UTT Advantage: Over 10 million people served by Global leading small business enterprise network sever brand. Enterprise Level Performance: Carrier Class router offers highly stable and powerful signal up to twice as durable as home use routers - 24/7/365 working. Ultra-Security VPN Supported: 5 VPN tunnels allow working simultaneously, supports IPsec/PPTP/L2TP. Moreover, L2TP over IPsec is under developing, coming soon. Efficient Load Balancing & Failover: the router automatically distributes internet traffic to the different bands to balance and improve performance. 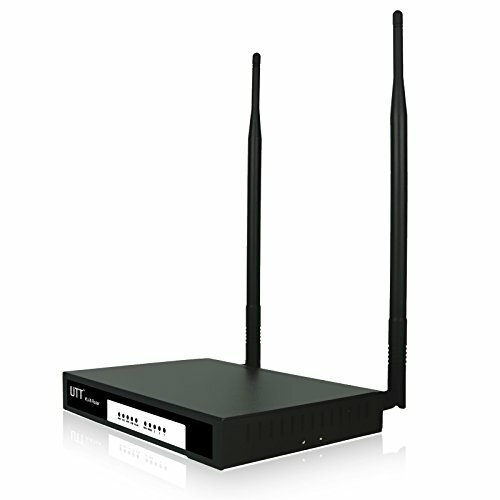 What you get: N518W wireless router, AC adapter, 2 x 7dBi MAX power antennas, Ethernet cable, Welcome Guide, our worry-free 12-month warranty and friendly customer service.